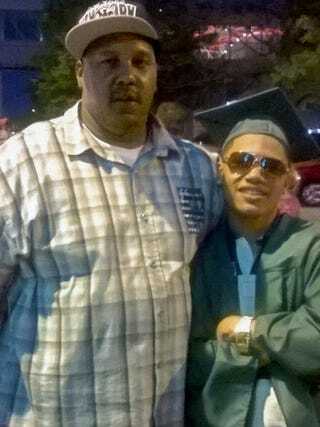 The inquest jury investigating the dehydration death of inmate Terrill Thomas at the Milwaukee County Jail last year recommended Monday that charges be brought against all seven jail employees involved. District Attorney John Chisholm asked the jury Monday afternoon whether there was probable cause that seven sheriff’s office employees had committed a felony offense through neglect, abuse or ill treatment of Thomas, the Milwaukee Journal Sentinel reports. The jury did find probable cause that the seven employees—Sheriff’s Maj. Nancy Evans; Jail Lt. Kashka Meadors; and corrections officers James Ramsey-Guy, Thomas Laine, John Weber, Dominique Smith and JorDon Johnson—had all committed a crime. The decision whether to move forward with the charges now rests solely with Chisholm. Chisholm said in his closing statement that the ill treatment of Thomas became abuse of an inmate who was as helpless as an infant left inside a car on a hot day. “By April 23, Terrill Thomas is the kid in the car seat, locked away and forgotten,” Chisholm said. Chisholm said evidence showed an “ongoing practice” of shutting off water to inmates both before and after Thomas’ death. He said sheriff’s officials knew that video of Thomas’ early days in the jail was crucial but didn’t provide it. Under the criminal statute the jury was asked to consider, prosecutors would not have to show that jail officials intentionally neglected or abused Thomas. The standard of proof is that under their actions, bad results were easily predictable. Earlier Monday, the jury heard evidence that after Thomas’ death, jail officials ordered the water shut off for two other inmates in the disciplinary pod because they covered their cell windows, jail logs show. A prosecutor referred to the practice as “torture” and said it was doubly shocking because it followed the death of Thomas, 38, who suffered from bipolar disorder and was denied both water and a mattress for seven straight days at the Milwaukee County Jail, run by Sheriff David Clarke. Thomas was in jail after allegedly shooting one man in the chest and then firing two shots inside a casino. Of course, numerous corrections officers took the stand to say that they had no idea Thomas had been denied water for days.